Want to pick up a new hobby? 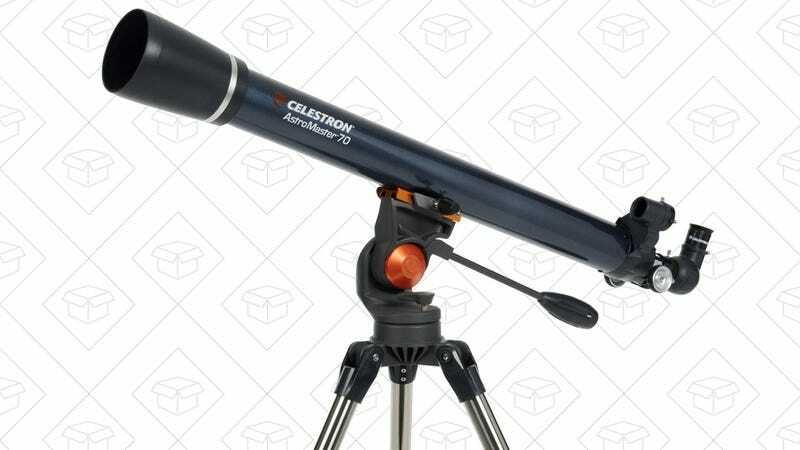 It’s easy to get into stargazing with Celestron’s AstroMaster 70AZ, which is down to $90 today as part of a Gold Box deal. While there are definitely more powerful telescopes out there, you’d be hard pressed to find a better option for under $100. 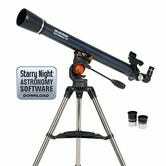 It’s not ideal for deep space objects like nebulae, but this telescope will give you great detail when looking at the moon, and will even allow you to observe the rings of Saturn, and the moons of Jupiter. Check out the photos uploaded by customers for an idea of what you’ll see. Want some inspiration? Go check out the amateur astrophotography subreddit.